The jury for the inaugural Smitu Kothari Fellowship is pleased to announce the following individuals as the Smitu Kothari Fellows for the year 2018. Aravind Unni has completed his B.Arch from Jamia Millia Islamia, New Delhi and M.S. 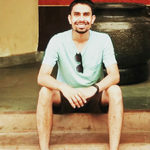 Arch from University of California- Berkeley, and is currently pursuing his PhD on Urban Social Movements from Tata Institute of Social Sciences in Mumbai. He is working as Urban Poverty Thematic Lead with Indo-Global Social Service Society, and handling developmental interventions with the most marginalized sections of the urban poor in more than 30 cities spread across 15 states. His core area of interest for research and action on urbanization and its intersection with poverty in cities, and has hands-on experience in working with communities over the last six years in participatory planning, formulating policy recommendations for people’s concerns related to housing and livelihoods, and advocating for equitable and just cities. He is currently based out of Delhi. Unni, in his study, aims to understand financing the Indian smart cities and its implications for the participation and urban governance. Divya Rajagopal is an Assistant Editor with the Economic Times, Mumbai, covering healthcare and access to lifesaving drugs. She also has a keen interest in the intersection of business and human rights. 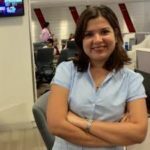 A graduate from the Asian College of Journalism, Chennai and Lund University, Sweden, she has earlier worked with Bloomberg TV and CNBC TV18. She also teaches financial and business reporting to the undergraduate journalism students of the Wilson College, Mumbai University. Rajagopal’s research on the impact of the power plant on the fragile ecology of the Sunderbans was published on the Economic Times. Gaurab Dasgupta works with the Business Standard as an editor. He has a keen interest in social issues, arts and culture, economy and policy. He has previously worked with the Economic Times and The Financial Express in different capabilities. He is also pursuing MA in Conflict Analysis and Peace Building from the Nelson Mandela Centre for Peace and Conflict Resolution, Jamia Millia Islamia. Dasgupta will research on the solar power parks and their impact on the local population. Kushagra Dixit works as a senior correspondent at the IANS, covering environment, wildlife, conflicts, science, tribes and human rights as the main beats. As a journalist, he has covered also Marrakech Climate Talks in 2016. 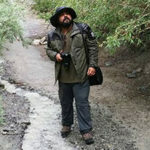 He is also a former a fellow with the WWF-India to study the Climate Change in the Ladakh region. An engineer by training, he has previously worked with The Statesman and The Pioneer. Dixit’s research on international finance on climate change and its investments in India resulted into article ‘Madhya Pradesh’s pond revival project suffers as funding dries up,’ which was published on IANS, Business Standard, Outlook, among other publications. Manasi Karthik is a first-year doctoral student in Sociology at Johns Hopkins University. Specializing in the fields of Political Ecology and Law; Karthik has written on a range of policy issues in India including forest rights, land rights, protected area legislation, the compensatory afforestation fund, human rights and women’s rights. Her publications have appeared in The Economic and Political Weekly, The Wire, The Business Standard, Firstpost, and Caravan. Her research examines how the liberalisation of infrastructure finance in India and the Public-Private Partnership model have contributed to the crisis in Non-Performing Assets. 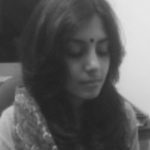 Raksha Kumar is a multimedia journalist and documentary filmmaker focusing on human rights, politics and social injustices. A graduate of the Columbia School of Journalism, she has reported for The New York Times, BBC, Guardian, TIME, South China Morning Post, Scroll and The Hindu. 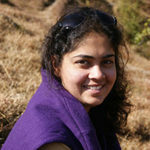 She was awarded National Media Award (for reporting on land rights) in 2018 and Chameli Devi Award for Outstanding Media Personality in 2016 for her work. 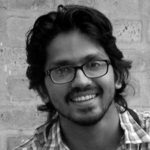 As a part of the Fellowship, Kumar will work on a series of three stories on the Chennai-Bangalore Industrial Corridor.